Changeable weather may have been a major force in the success and failure of agrarian states in Mexico and Peru, according to climate and archaeological records. For a new study, researchers looked at climate records for central Mexico gleaned from a stalagmite collected from Juxtlahuaca Cave in the state of Guerrero. They also looked at the climate record preserved in the Quelccaya ice cape in the Cordillera Vilcanota portion of the Peruvian Andes. In both cases the climate records are based on oxygen isotope measurements on datable layers of ice or stalagmite cave deposition and show annual changes in rainfall and temperature for 2,000 years in Mexico and 1,800 years in Peru. “We are arguing that the climate information in both areas is good enough to establish that climate is playing some role in the rise and fall of these city states,” says Douglas Kennett, professor of environmental archaeology at Penn State. “Now we need to further refine the archaeological data. Some refinement in archaeological dating in some areas is still needed, but the rise and fall of major polities is reasonably well known. 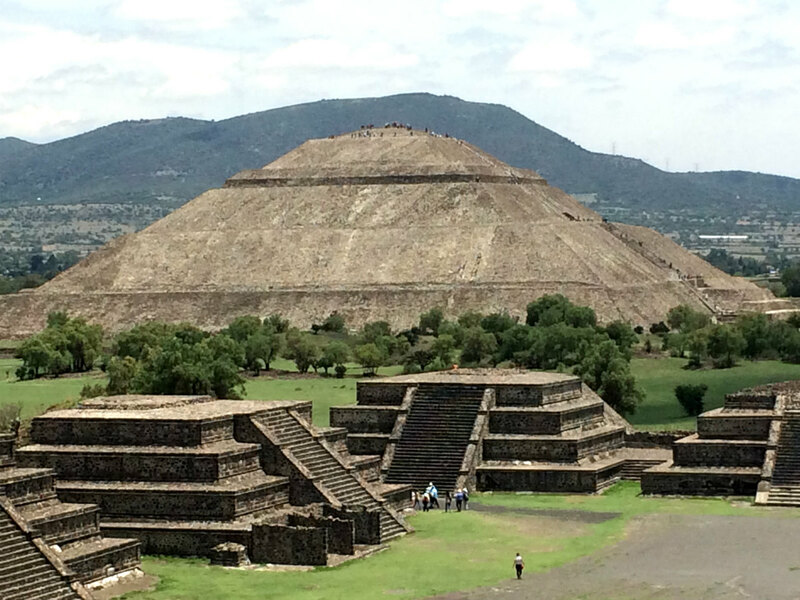 Comparing the climate record with organized agrarian state level societies in Mexico, the researchers looked at the rise and falls of three states: Teotihuacán from 100 BCE to 650 CE, Toltec from 900 to 1150 CE, and the Aztec Empire from 1400 to 1519. “The fluorescence and expansion of Teotihuacán as a regional power between 100 and 400 CE occurred during an interval of persistent and stable rainfall,” the researchers report in Philosophical Transactions A. Teotihuacán, during its heyday, influenced large portions of central Mexico. The decline of Teotihuacán from 600 to 700 occurred during “some of the most volatile climate conditions evident in the Juxtlahuaca Cave climate record.” This was followed by an extended drought after 700 that is recognized by previous studies. By the early 15th century, Tenochtitlan, now Mexico City, was one of the large cities vying for control of the Basin of Mexico. It eventually grew to a city of 200,000 people. The growth of the Aztec empire coincided with an extremely wet and stable climatic period. The empire fell under the conquistadors who arrived in 1519, so the potential societal effects of highly volatile climatic conditions during the 16th century are difficult to evaluate. During each of these time periods urban populations developed agricultural methods that relied on the persistent availability of rainfall—irrigation. During the climate’s unstable periods, evidence of population dispersal, destruction, and warfare are evident in the archaeological record. About 3,000 miles to the south, the situation in Peru looks very similar to Mexico. 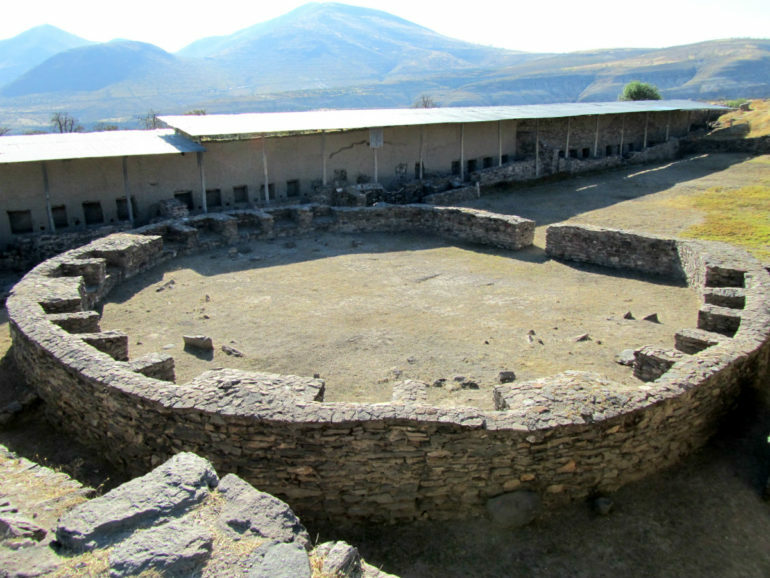 Three civilizations—Wari and Tiwanaku from 300 BCE to 1000 CE and Inka from 1438 to 1525 CE—emerged in the Andes. The Wari and Tiwanaku states developed side by side in the highlands covering the area from what is now northern Peru to northern Chile. These civilizations developed sophisticated methods of intensive agriculture suitable for these high elevations. However, these methods were sensitive to changes in temperature and precipitation. States developed when the climate was warm, wet, and stable—and went into decline when the climate was highly volatile and dry in 1000 CE. Again from 1000 to 1300 CE the climate was highly volatile, populations dispersed, and smaller competing polities are evident throughout the highlands. As conditions stabilized the Inka Empire emerged and dominated the Andes from Ecuador to southern Chile by the end of the 15th century. A complex combination of irrigation, cropping and other agricultural approaches along with an intricate network of regional capitals, rituals and military campaigns created this large empire. This time was also a stable climate period. Just as the Aztec empire fell, the Inka Empire fell to the Spanish conquistadors in 1533. Both of these regions show the formation, decline, and eventual reestablishment of states in a pattern that mirrors the stability and instability of climate conditions in each region. It appears that political fragmentation, sociopolitical instability, and warfare occurred during the unstable climate periods, while the growth of strong, stable, successful states were favored during stable climatic intervals. The National Science Foundation and the Leibnitz Association supported this work.